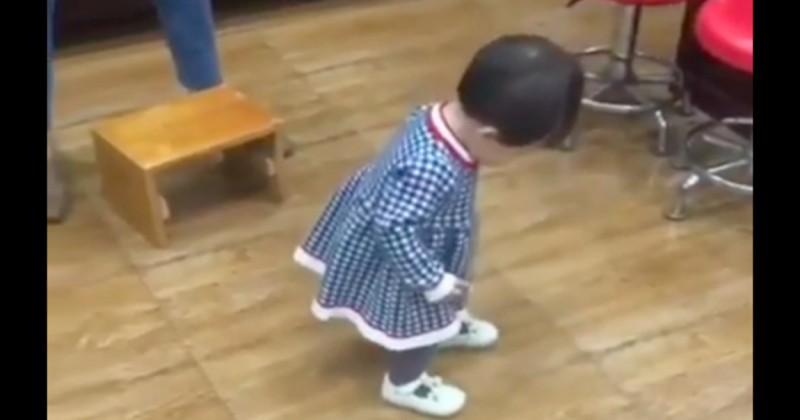 Adorable Little Girl Tries To Move Backward And Sit On A Chair. Joy is the expression of inner happiness and contentment. Joyous people look for the good in every situation. Choose to be positive and content and you will be a source of joy to others. Every ’joy’ has a source but in the family a baby can be a source of joy for parents and other members. Here in this video a little girl learning to sit on chair but she tries moving backward. You can see she is moving backward towards a small chair on the floor. One of the kid’s kin is helping her by instruction to sit on right place. She takes a few small steps at a time and checks if she has arrived the ‘destination’ carefully. Her attempts and decisions were right, but she makes an epic mistake by turning 360 degree and ends up sitting on the ground just beside the chair. At the end of her attempt, she sits on the right place but next move was wrong. The moment is entirely hilarious to us.